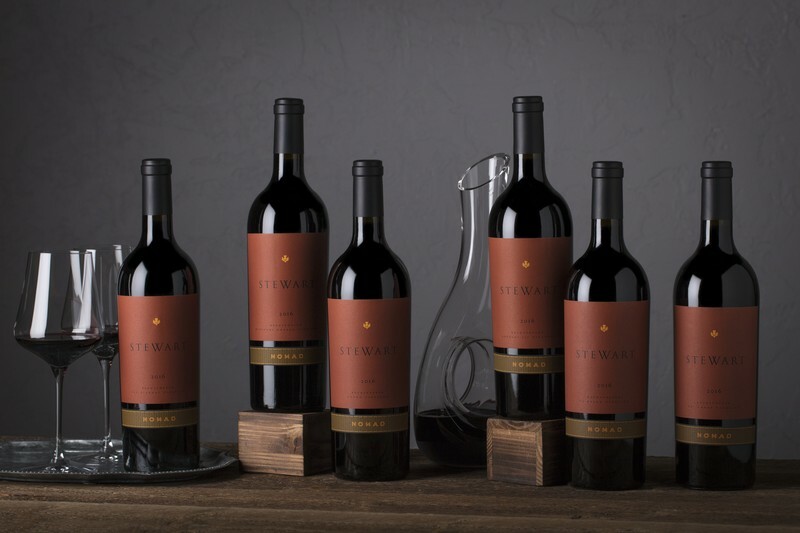 Our family began crafting the Stewart wines 20 years ago with a promise in mind; delivering exceptional, age worthy wines, while taking you on a journey. The NOMAD Collection builds upon that promise with an exploration of Napa Valley’s most exquisite vineyards and their unique terroir as we showcase the Beckstoffer Heritage Vineyards. The new 2016 NOMAD Collection features beautiful, limited production, vineyard designate wines from Beckstoffer's To Kalon, Bourn, Las Piedras, Georges III, Dr. Crane and Missouri Hopper Vineyards. The NOMAD tour starts with a private tasting in the NOMAD Heritage Library where guests taste through library vintages of Stewart NOMAD Cabernet Sauvignon. On the second day, guests depart on an early morning tour of any or all six Beckstoffer Heritage Vineyards in a luxury SUV and wine and a member of the Stewart Family, will give an in-depth preview on the terroir, farming techniques, and unique attributes of each vineyard. Upon returning to the tasting hall, guests will enjoy lunch by Southside on the NOMAD patio, followed by a tasting of Stewart Cellars NOMAD collection wines, each from an individual Heritage vineyard. Please contact the tasting room for pricing and availability. Join us in the luxurious NOMAD Library for a tasting of all 6 2016 NOMAD wines. Explore the unique influence of climate and terroir on these 100% Cabernet Sauvignon single-vineyard wines. Each private tasting led by a dedicated wine educator lasts 2 hours and includes a cheese plate. The NOMAD Wine Club offers exclusive access to our limited release NOMAD Collection. With the October 2018 release you can expect to receive 1 to 2 NOMAD wines from each of the Beckstoffer Heritage Vineyards depending on your membership in either the 6 bottle or 12 bottle NOMAD club. Your March shimpant can include additional allocations of specific designates and/or library vintages of NOMAD Cabernet Sauvignon. Library vintage are available for NOMAD going back to 2007. Members receive current release NOMAD wines for $150/bottle and exclusive discounts on select library vintages of NOMAD. $1 shipping applies to all wine club shipments. And NOMAD tastings are complimentary for NOMAD members and 1 guest annually. 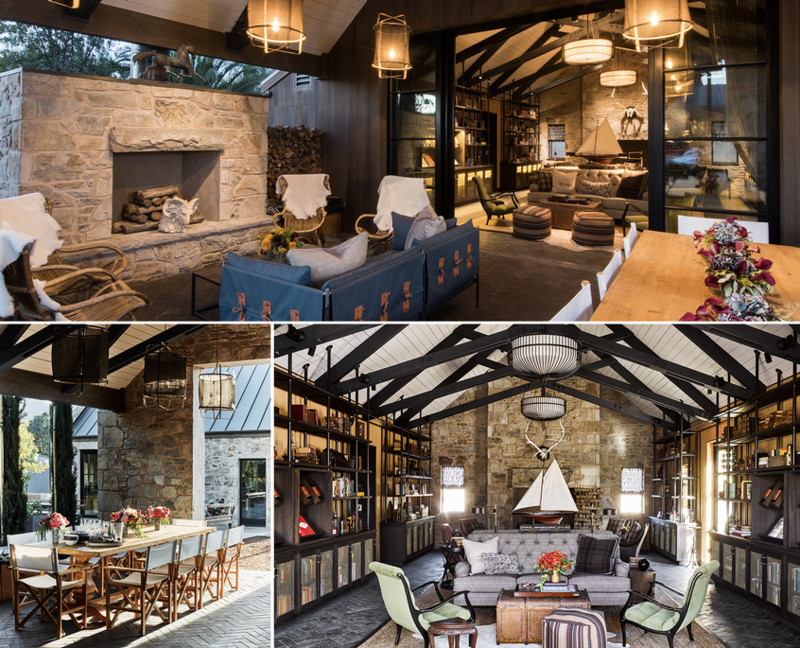 The NOMAD Heritage Library includes a luxe-wine tasting space complete with a bohemian vibe, inclusive of an oversized wood-burning fireplace and a covered outdoor terrace. The library will host private tastings that showcase current and select library vintages of the Stewart Cabernet Sauvignon and NOMAD Beckstoffer Las Piedras Cabernet Sauvignon ($70/per person). Reservations are required. 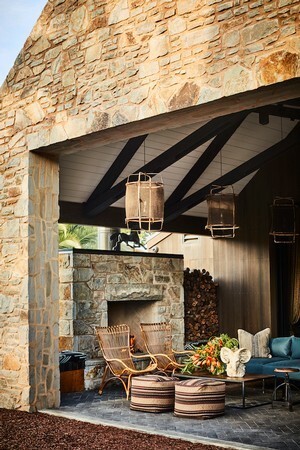 The library opens up to a covered outdoor terrace featuring views of the heritage oak tree; and indoors, an oversized wood burning fireplace made of Syre stone beckons guests to make themselves at home. The library and terrace share the same floors, black fire brick stones in a herringbone pattern. Walls are lined with custom steel-and-brass shelves that display a collection of travel and adventure books. Built-in display cases illuminate prized bottles of wine and selected curiosities. 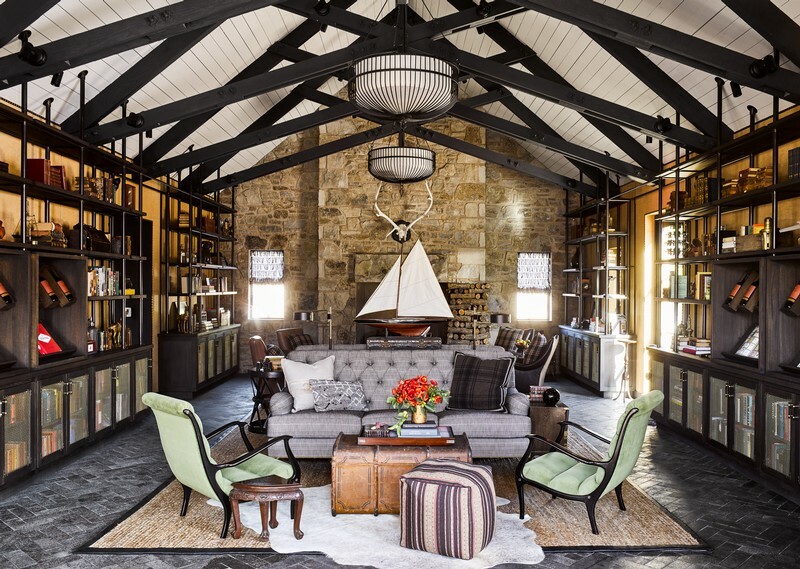 The interiors are a mash-up of a continental world traveler’s library and the safari tent of an adventurous explorer.